Come home to Coastal living in newly remodeled Key West house w/wraparound porch for sunrise brunches & sunset dinners while viewing boats sail the Intracoastal Waterway. Great Room provides flex dining & entertainment area. Top-name new & newer appliances & meticulous detail in decor throughout w/chairlift. Woodburning fireplace takes chill off tropical winter mornings. In addition, home includes guest-suite/3rd bedroom w/kitchen.Hobbyists will like the 800 sq ft garage & workshop area. Sports-minded owner can fish in backyard spring-fed lake. In the front yard, hop on the bike trail south to Preserve & hand feed Scrub Jays. Continue north all the way to Sarasota. 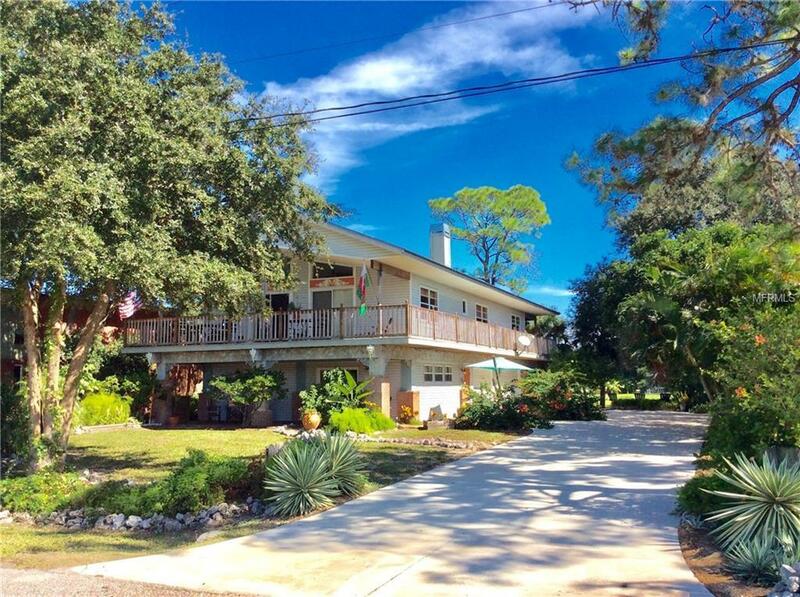 Just five minutes from home, swim in Gulf of Mexico & sun on sand beaches. Historic Venice just across the waterway provides fashionable shopping & fine dining. Venice is home to The Venice Theatre, third largest award-winning community theatre in the country w/international standing. Venice Performing Arts, home of the symphony, is also venue for road shows. Preview this quality home to discover more outstanding features too numerous to list here. The new owner will enjoy Florida life in this home with pleasure & pride. Additional Water Information Home is Located On The Gulf Coast Intracoastal Waterway Of Florida. Strategically Located W/Long Intracoastal Views Of The Waterway & Boating Activity! Beautiful Breezes And Medley Of Boats Gives A Beautiful Relaxing Atmosphere For Your Viewing Pleasure.